ACTION The amount of money being wagered on a game. BAD BEAT A hard loss. BOOKIE A person or organization that sets the lines and books the bets in sports. BANKROLL The amount of money the player plans to gamble. BEARD A messenger bettor. Someone who places bets on behalf of another person so that the bookmakers will not know the identity of the actual bettor. CHALK The team favored to win. CHALK PLAYER A person who usually wagers on the favored teams. A.K.A Favorite Freddie, chalk eater. CIRCLE GAME A game where the betting action is severely limited due to uncertainties about key injuries, inclement weather conditions, or unsubstantiated rumors regarding a team. DIME BET A $1,000 wager. DOG PLAYER A person who usually bets on the underdog. DOLLAR BET A $100 wager. DOUBLE BET A wager twice the amount of one's normal wager. EARN The practical hold percentage. EVEN MONEY A wager on which the odds are 1-1. EXOTIC BET A bet other than a straight bet or parlay. EXPOSURE The amount of money the house will risk losing on a game or race. EXTENSION The amount of money the house theoretically stands to lose on a game or race. FIGURE Amount of money owed to or by a bookmaker. FIRING Wagering huge sums of money. FLEA An annoying person who wants something for nothing. One who expects to be comped for a $2 wager. FORM The performance expected of a team according to how they look on paper. FUTURE BET Bets accepted well in advance of the events. GETTING DOWN Making a bet. GOING DOWN Losing a bet or bets. GROSS WIN The amount of winnings before subtracting the expenses. HANDICAPPER A person who studies sports and predicts its outcome. 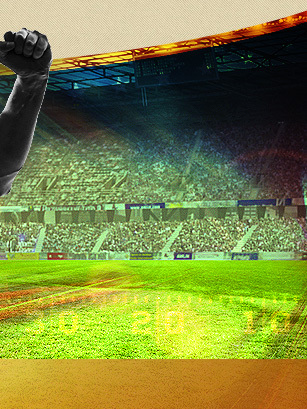 HEDGING Betting on the opposite side in order to cut losses or guarantee winning a minimal amount of money. HOLDING YOUR OWN Neither winning or losing, just breaking even. HOOK A half point in pointspreads. HOOKED Losing a bet by exactly one-half a point. HOME FIELD ADVANTAGE The edge the home team is expected to have as a result of familiarity with the playing area, fan support, and the effect of travel on the visiting team. HOOPS Another term for Basketball. 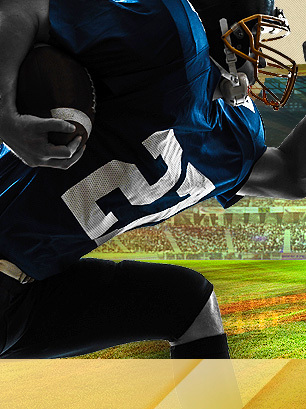 HOT GAME A game that draws a significant amount of action on one side by knowledgeable handicappers. HOT TIP Insider information that the bookmaker cannot divulge. JUICE Bookmaker's commission, also known as the vig or vigorish. LAYOFF BET A bet made by one bookmaker with another in order to balance the action and reduce the risk on one side. LIMIT The maximum bet accepted by a house or bookmaker before he changes odds and/or the points. LINE The listed odds on a game and/or payoff odds on the bet. LINEMAKER The person who establishes the original and subsequent betting lines. LONGSHOT A large underdog where the odds of winning is quite steep. Hence the term "Not by a longshot". MIDDLES To win both sides of a game. MONEY LINE The odds expressed in terms of money. NEUTRAL SITE Venue of a sporting event where neither side has a home field advantage. NEWSPAPER LINE The betting lines appearing in the daily newspapers. ODDSMAKER The same as a lines maker. ODDS ON FAVORITE A horse, team or individual so favored by the public that the odds are less than even. OFF THE BOARD A game on which no bets are accepted. OFF LINES The difference of amount the Las Vegas pointspread has compared with the computerized mathematical line. OFFICIAL LINE The line that the bookmaker uses for wagering purposes. OUTLAW LINE An early line which is not an official line. OVERLAY When the odds of a given proposition are more in favor of the bettor than the house. OVER & UNDER A wager for the total score by both teams will more or less than the total posted by the sportsbook. 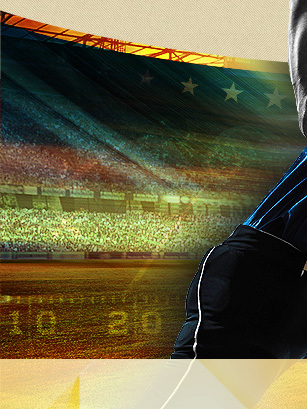 PARLAY A bet with two or more teams where all the teams beat on must win in order for the bettor to win the wager. PAST PERFORMANCE What has occurred previously to the forthcoming games. PAST POST To make a bet after the event has begun. PICK'EM GAME A game where team is favored. PLAYER A bettor, or gambler. POINTSPREAD The amount of points the bettor must give to take on any given game. POST TIME The scheduled starting time. PRACTICAL HOLD PERCENTAGE The amount won by a bookmaker divided by the total amount booked. PRESS Betting a larger amount than usual. PRICE The odds or pointspread. PROPOSITION BET A wager on a particular aspect of the game such as how many field goals will be made. PUSH Where neither team wins and all money is returned to the bettors. ROUND ROBIN A form of parlay betting in which we wager various combining team wagers. A 3-team robin is team 1 to 2, 1 to 3, and 2 to 3. 4-team robin is team 1 to 2, 1 to 3, 1 to 4, 2 to 3, 2 to 4, and 3 to 4. 5-team, etc. RUN DOWN A line update. SCALPER A person who attempts to profit from the differences in odds from book to book by betting both sides of the same game at different prices. SCRATCH To withdraw or cancel a wager. SCOUTS Person(s) who study team plays and/or practice and report findings to handicappers. SIDE Winning one side of a wager and tying the other side. SMART MONEY Sides that are bet on by the more knowledgeable handicappers. SPORT PLAYER A person who waits for what he thinks is an unusually strong wager. STEAM When heavy action occurs on one side. STRAIGHT BET A bet on just one team. SUCKER BET Betting on the underdog. TAKE A PRICE Bet the underdog, take the points. TAPPED OUT Broke, busted, common result of pressing. THEORETICAL HOLD PERCENTAGE The edge the bookmaker would have if the odds guaranteed him a constant commission regardless of the outcome. TOKE A tip or bonus. TOSS UP A game where the line is close to pick-em. TOUT SERVICE A business that sells opinions on sports or horse wagers. TRIPLE SHARP The sharpest of the sharp. UNDERLAY Having the odds of a proposition lean in favor of the house. VIGORISH The commission the bookmaker receives. WISE GUY A sophisticated and successful sports bettor. 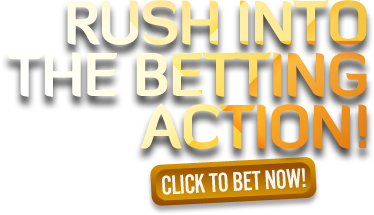 Place a sportsbook bet now! © 2005 - 2019 Sportsbook-Info.com may link to third party websites and software, including additional promotional links. We do not endorse, and are NOT responsible or liable for any third party content, products, or services available from such websites. Online gambling may NOT be legal in your jurisdiction. Do NOT gamble online unless you have verified that it is legal for you to do so.